Parent Tested Parent Approved Top Pick of Toy Fair 2016 Creative Child Magazine Preferred Choice Award Winner Yoga Spinner is a delightful introduction to yoga that encourages teamwork and healthy physical activity. Give the spinner a whirl and perform the pose on the corresponding Yoga Pose Card. 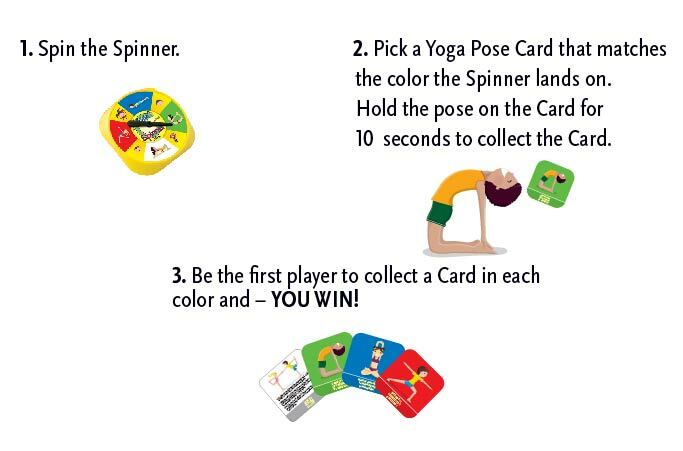 If you can hold the pose for 10 seconds, you keep the card, and the first player to collect a card in each color wins! You’ll need a little luck and teamwork, and a bit more flexibility and balance to win this entertaining yoga game.